AOMEI Partition Assistant Standard is FREE disk partition management software that helps users completely control hard disk and partition. This free download is the standalone offline installer of AOMEI Partition Assistant Standard 6.0 for Windows. 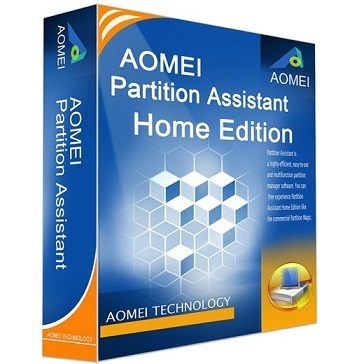 AOMEI Partition Assistant Standard is free partition software which has earned good reputation among worldwide users. It comes with so many powerful features that you can completely control your hard disk and partition. For example, “Extend Partition Wizard” enables you to increase partition size to completely solve low disk space problem, or you can flexibly manage disk space with “Resize Partition”, “Merge Partitions”, “Spilt Partition” and “Copy Partition”. AOMEI Partition Assistant embeds sector-level data protection technology, it enables you to realize more safely partitioning operations as you expected. No matter whether your disk style is MBR or GPT and no matter whether your disk is small or larger than 2TB, our product is able to help you solve various problem of your disk partition. Click on the below link to download the standalone installer of AOMEI Partition Assistant Standard 6.0 for Windows x32 and x64 architecture. This is complete offline setup which is compatible with all the latest operating systems.